Landwise worked with the University of Florida (UF) and consulting team to create the University’s Strategic Development Plan to support the University’s preeminence goals and benefit the Gainesville community. 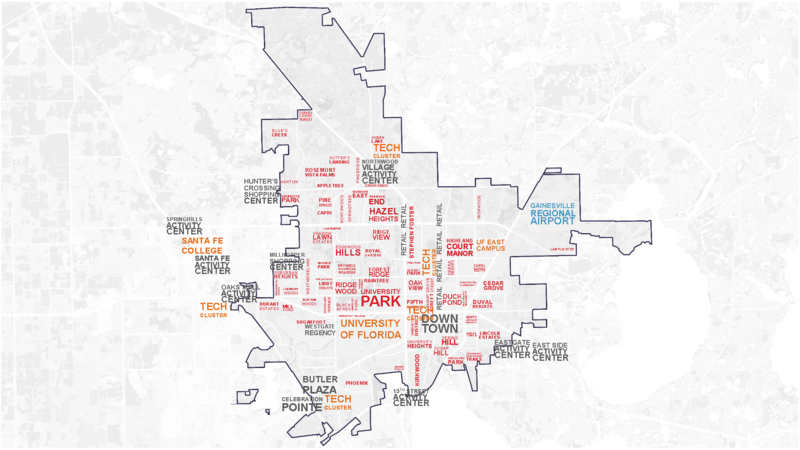 The plan lays out the long-term framework (30+ years) to help the UF and Gainesville create a top tier college town and a top ten public University. 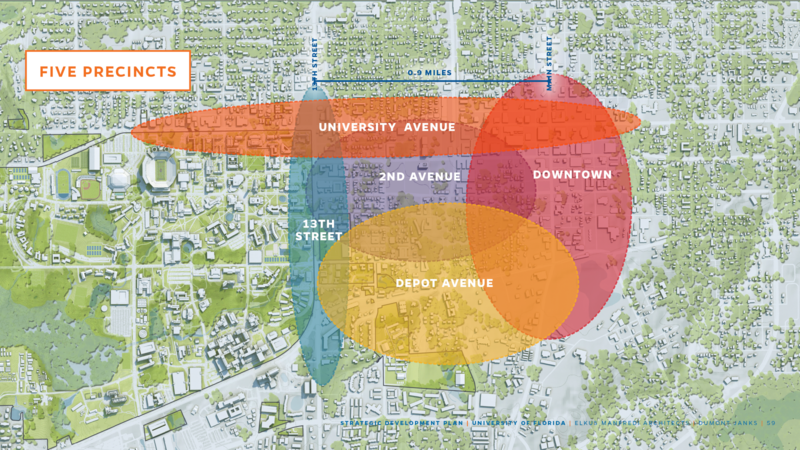 A key goal of the plan is to reinforce and densify the eastern third of the campus, thereby refocusing on the historic campus core and emphasizing connections to the medical center and downtown Gainesville. 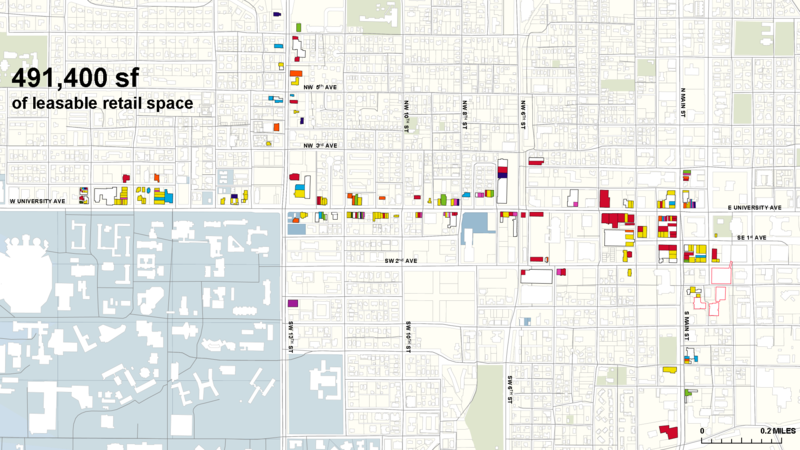 Landwise gauged the market potential of future land uses for locations stretching between campus and downtown Gainesville, helping to build the case for the economic benefits of infill development within the historic core. Landwise focused on key corridors including University Avenue in order to develop key strategies for strengthening the corridors, retaining talent, and leveraging existing building stock and infrastructure investments. The Strategic Development Plan received an excellence in planning award from SCUP.